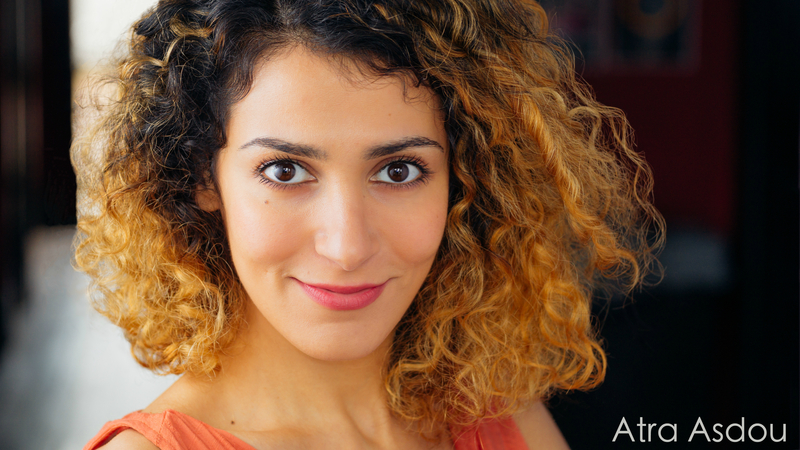 Atra Asdou acts, writes, and comedies in her hometown of Chicago. She loves a good beat, making people laugh and has yet to master the art of successfully eating food while wearing her hair down. Atra has performed on the stages of THE GOODMAN, STEPPENWOLF, WRITERS' and LOOKINGGLASS THEATRE, where she is also an artistic associate. She has appeared on TV's CHICAGO P.D., CHICAGO MED, MIND GAMES, and A.P.B. ; you can peep her in a variety of films and commercials as well. 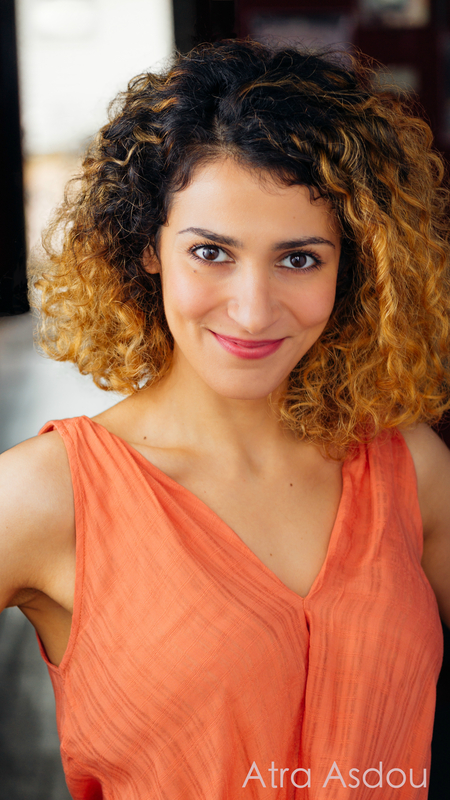 She is a co-writer of LINES, a play featuring all women of color, presented by THEATRE LILA. Atra writes/performs comedy all around Chicago. She is the recipient of 2017's NBC UNIVERSAL/SECOND CITY BOB CURRY FELLOWSHIP, has performed as an understudy in The Second City e.t.c. 's 40th revue, A RED LINE RUNS THROUGH IT, understudies THE SECOND CITY TOURING COMPANY, regularly improvises at iO Chicago with WHIRLED NEWS TONIGHT, and her Harold team, LIL' TOOTIES, and frequently contributes to the satyrical live-lit magazine, THE PAPER MACHETE. She's a graduate of The Second City Chicago (Conservatory, HouseCo, Bob Curry) and iO Chicago (Writing & Improv) programs. She's the winner of 2017 Baltimore Web Fest's BEST ACTRESS IN A COMEDY for her work in the web series OTHER PEOPLE'S CHILDREN and was nominated for 2017 My Rode Reel Short Film Competition's BEST FEMALE FILMMAKER for her original comedic short, FEVER. In 2018, Atra, made her solo-sketch show debut with, A POODLE IN PEOPLE CLOTHES ("A One-Woman Human Dog Show,") at iO Chicago.